Looking for a great place to have your next birthday party? Look no further than our birthday party packages which include bowling, shoe rental, pizza and soda for all ages. Prices will vary based on the size of the group. Give us a call and we will give you the details. Phoenix Center offers open bowling every day of the week. Open bowling is on a first-come, first-served basis. Open bowling is available Monday through Sunday, but please call ahead for availability or check our calendar for any events planned for that day. 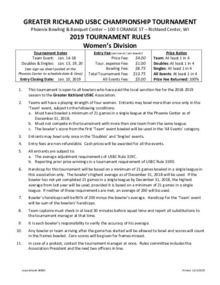 Here is a list of current bowling leagues at the Phoenix Center. For more information, or to sign-up, stop at Phoenix Center or call 608-649-7469. 5 person men’s winter league. 4 person men’s winter league. 5 person mixed winter league. Saturday night for 16 weeks. 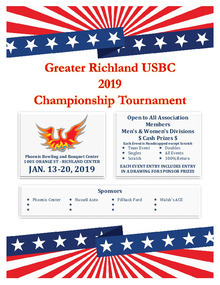 Open to all members of the Greater Richland USBC association. Scroll down to view the current standings for men and women. 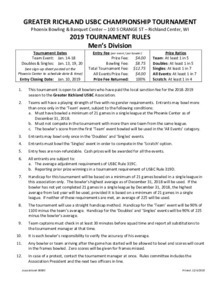 Download "Men's Division Prize Winners.pdf"
Download "TEAM Event Standing 20190123.pdf"
Download "DOUBLES Event Standings 1-20"
Download "SINGLES Event Standings 1-20"
Download "ALL EVENTS Standing Report 20190123.pdf"
Download "SCRATCH Event Standings 1-20"